In the Fall of 1999, Bartlett Family Dentistry was born. It was located behind the hospital in a building that was owned by North Arkansas Regional Medical Center. Dr. Bartlett happily practiced in that location for a few years. When Dr. Bartlett received word that the hospital needed more room for parking and were considering tearing down the buildings Bartlett Family Dentistry was in, Dr. Bartlett started praying and looking for a new office location. In Christ, there is no coincidences, it’s just when God wants to remain anonymous. That being said, just days later, Mrs. Marilyn Scroggins’ home on 315 West Bower Ave. was put up for sale. Mrs. Scroggins and Dr. Bartlett had known each other for many years. They went to Church together and Mrs. Scroggins was a seamstress Dr. Bartlett had just had a dress tailored by Mrs. Scroggins for an upcoming wedding. Dr. Bartlett loved this house and had always thought it was a good place for her dental practice. With all of the renovations and upgrades to the home, it was unfortunately unfit for her practice. Many options were considered, but it was decided to move the home to another location, and build a new building. 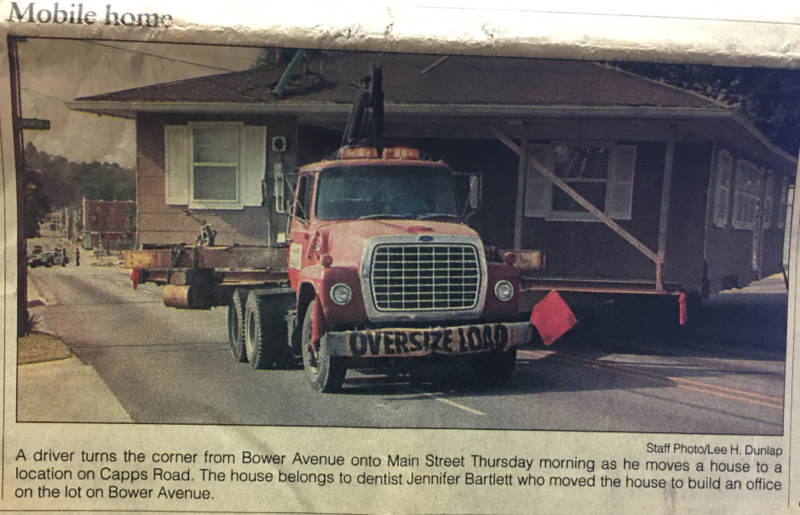 Below is the front page of Harrison Daily Times where the house was moved, September 2002. We moved into our current location of 315 West Bower Ave. In February 2003 we had our open house with a petting zoo in the parking lot and food and fun for the whole family! We understand that if you want the best results, it is necessary to incorporate and use the best practices and technology in the industry. 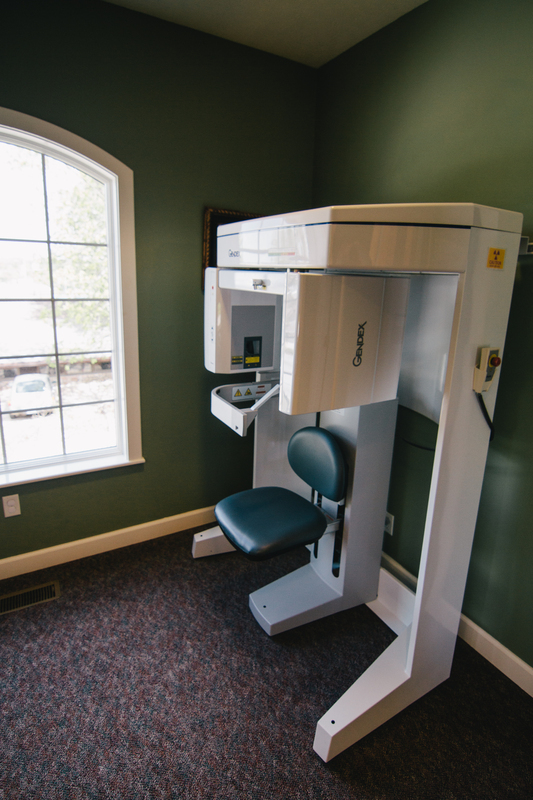 This is why we use state-of-the-art technology here at Bartlett Family Dentistry. Check out some of the technology we use in our office. 3-D Digital Imaging – We offer the best in digital imaging right here in our office. Our GX CB-500 offers precise detail needed to plan treatments for such procedures as implants or oral surgery. 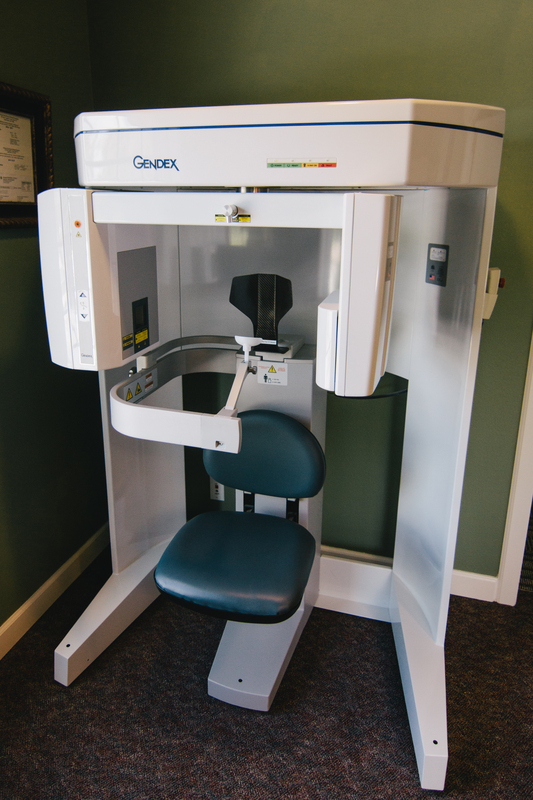 This system also has the LOWEST radiation output compared to other devices normally used in a dental office.